It’s clear to see why ABM has been the talk of the B2B marketing world, with 85% of marketers who measure ROI describe account based marketing as delivering higher returns than any other marketing approach. 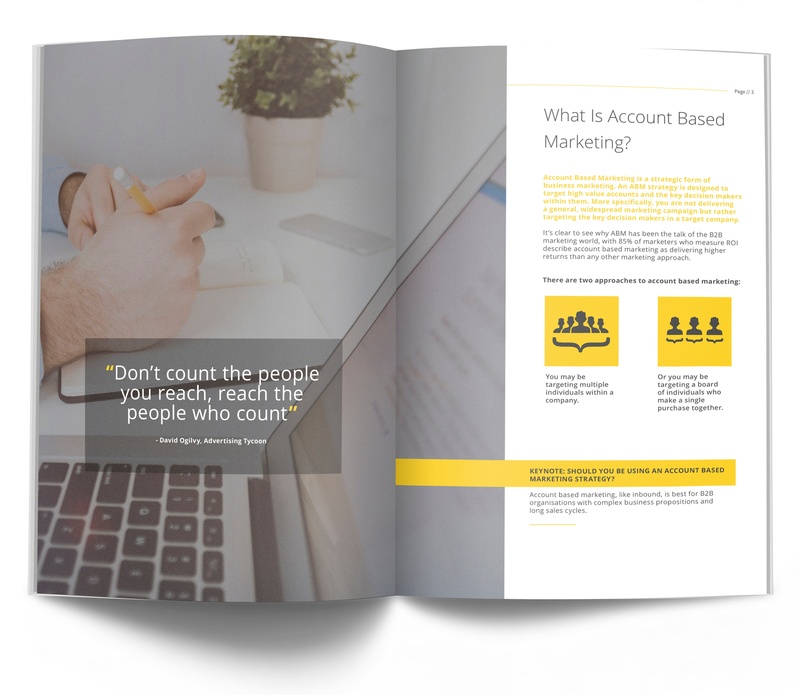 In this guide we explore the benefits, best practices and key phases of account based marketing and how they can be used to drive growth, improve department alignment and increase customer satisfaction and retention. To understand and utilise an account based marketing business strategy simply fill out the form and get the guide! Disclaimer: We won't SPAM you or sell on your data. You can unsubscribe from any email we send you at any time.